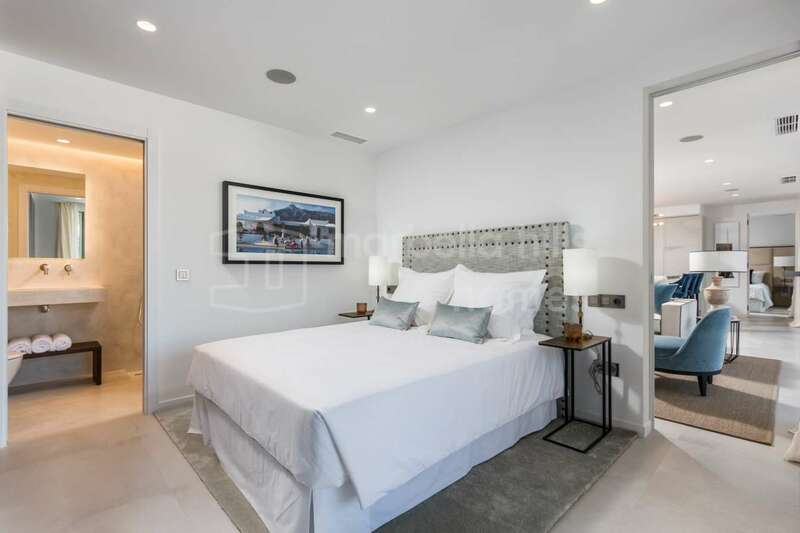 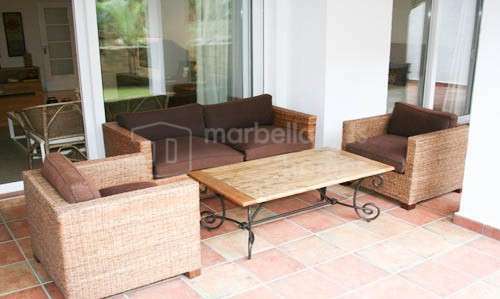 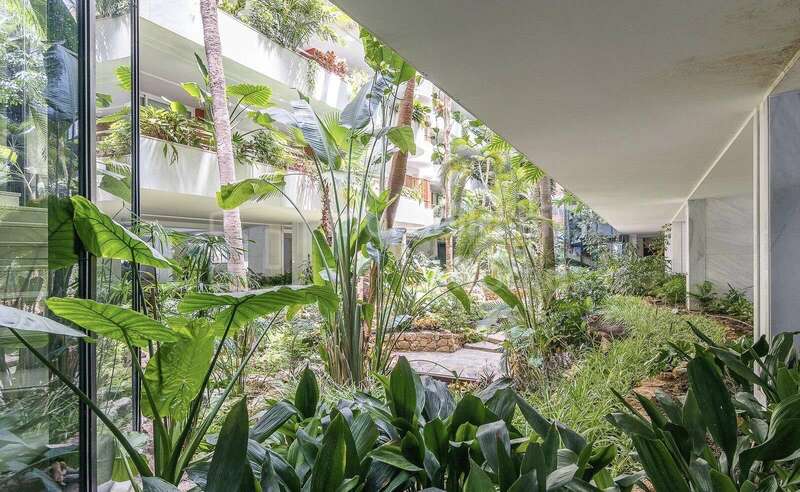 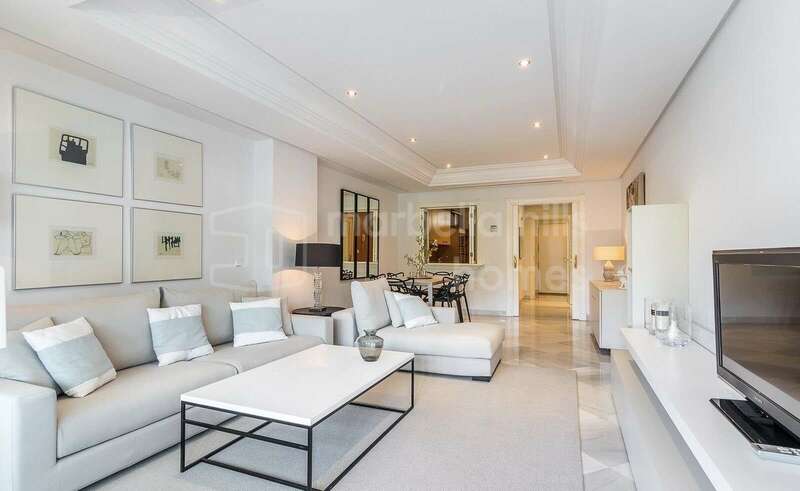 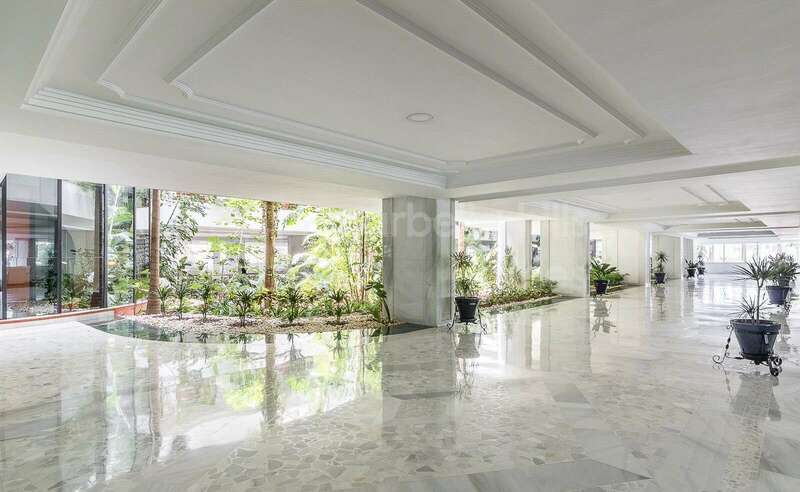 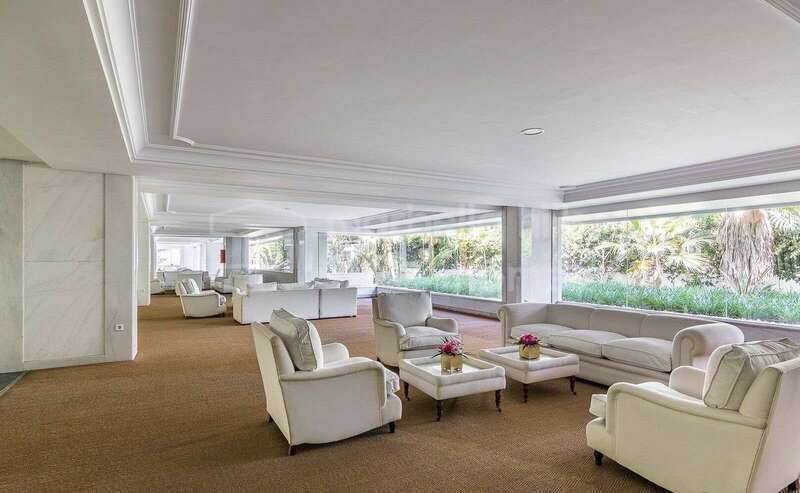 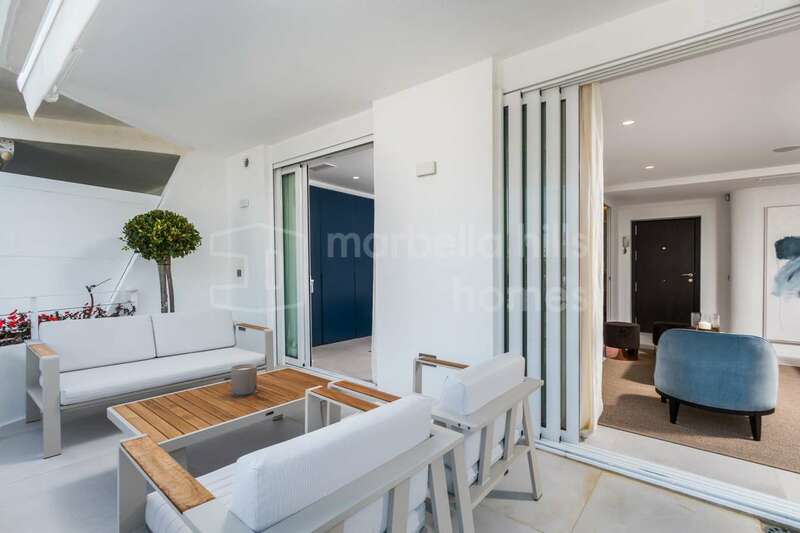 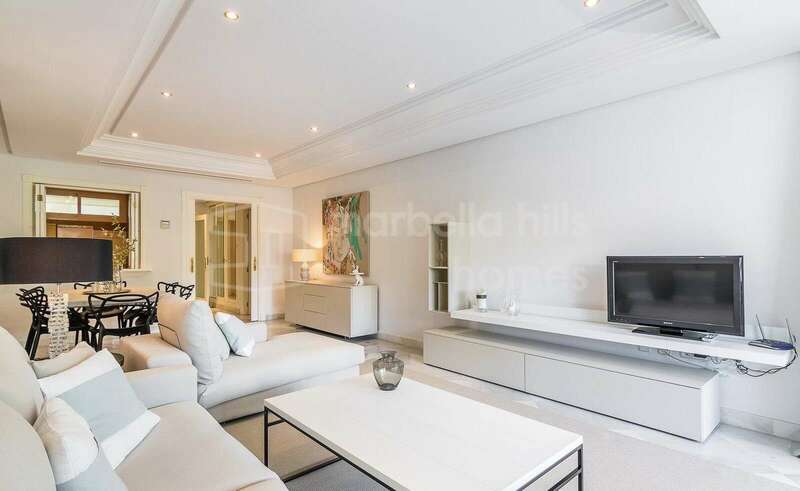 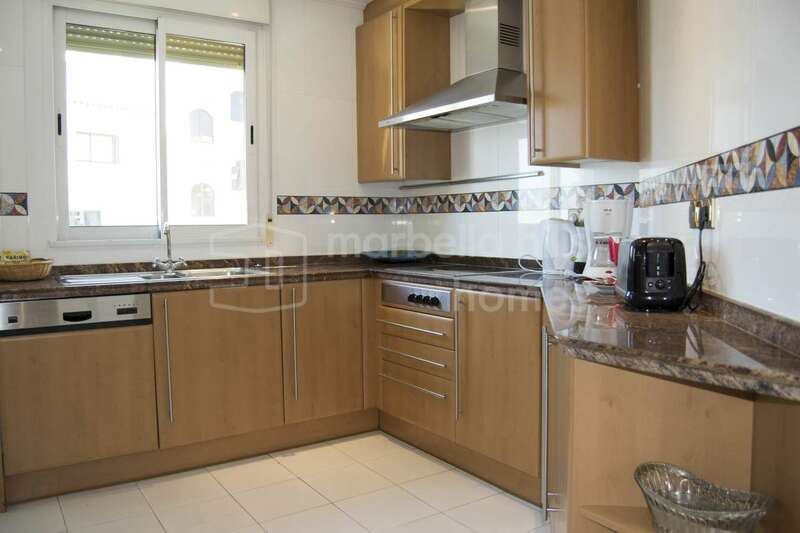 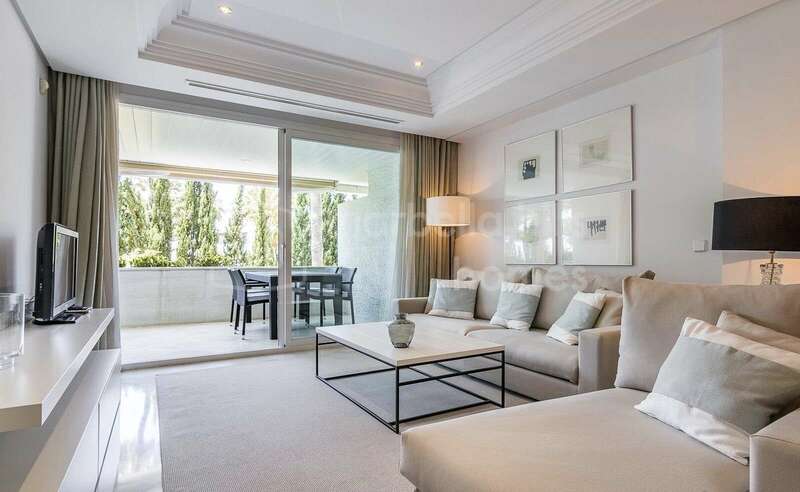 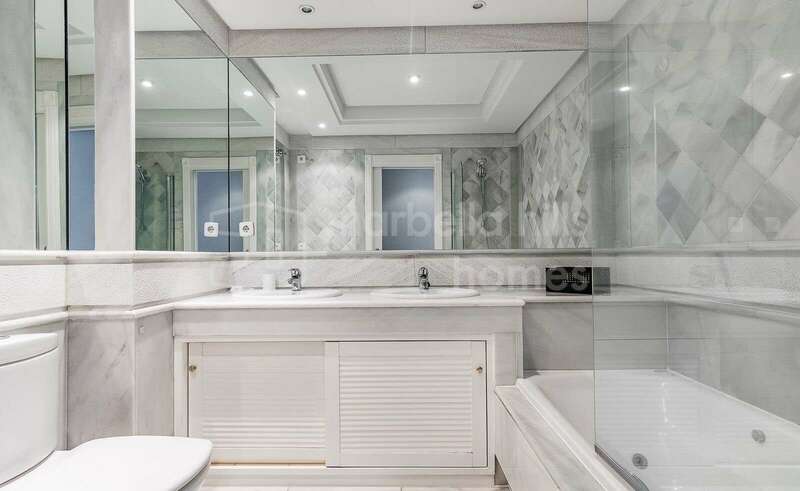 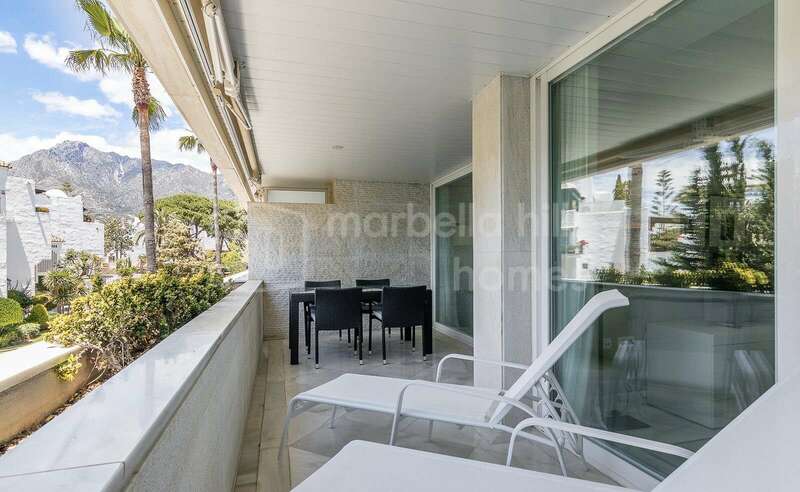 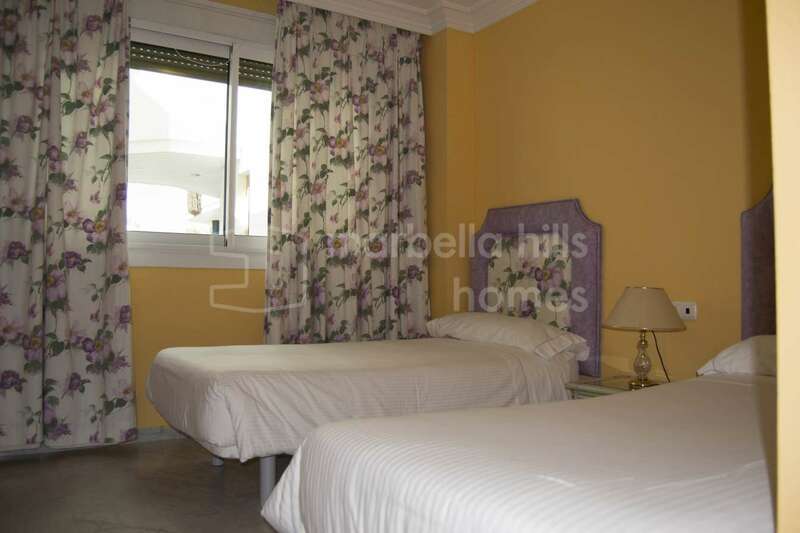 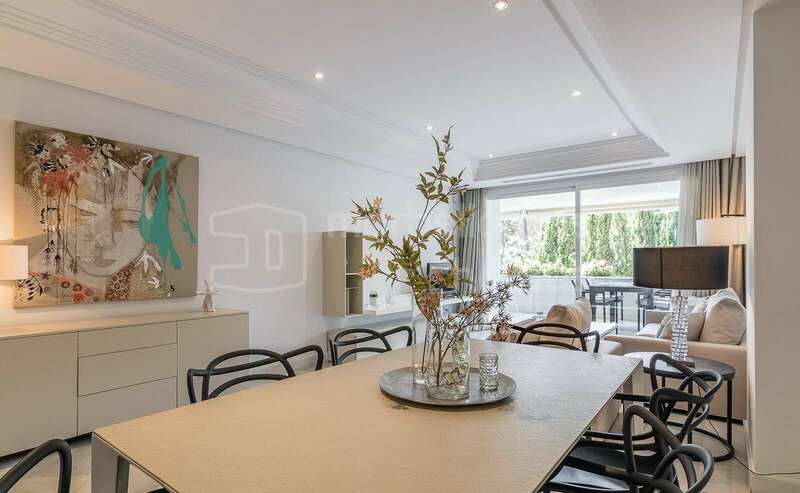 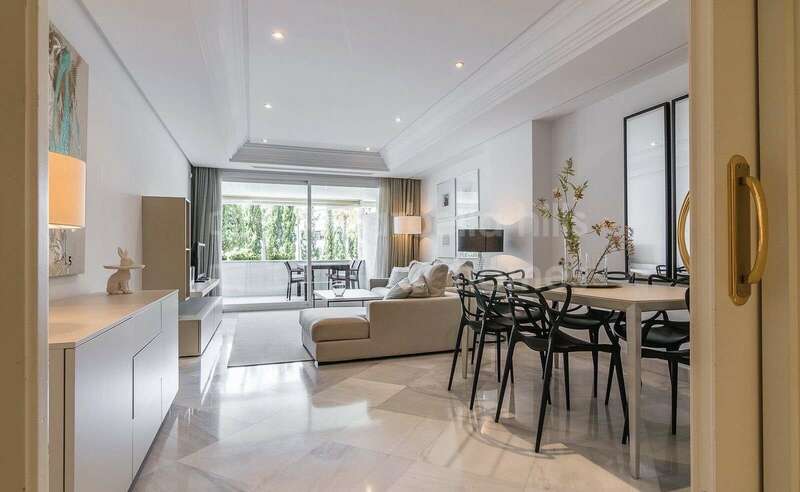 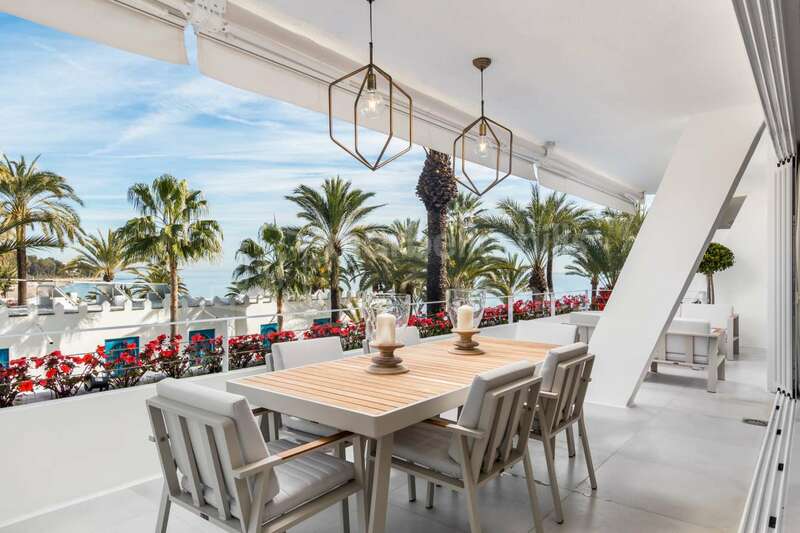 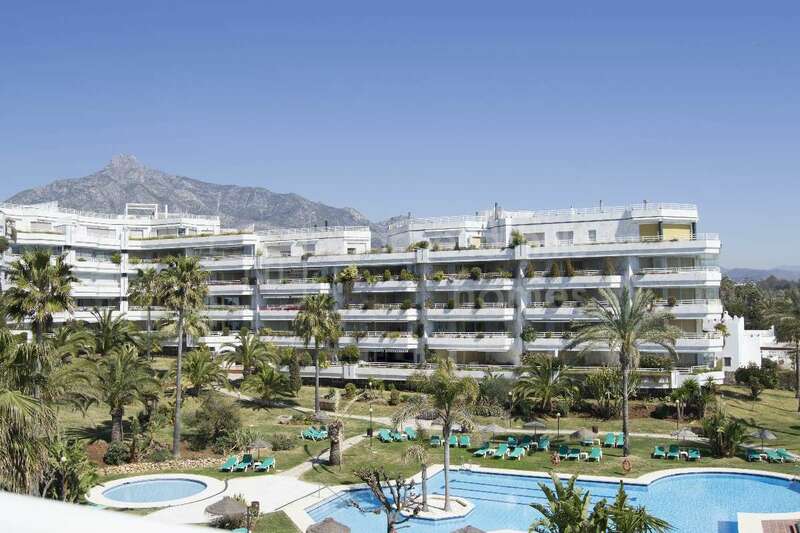 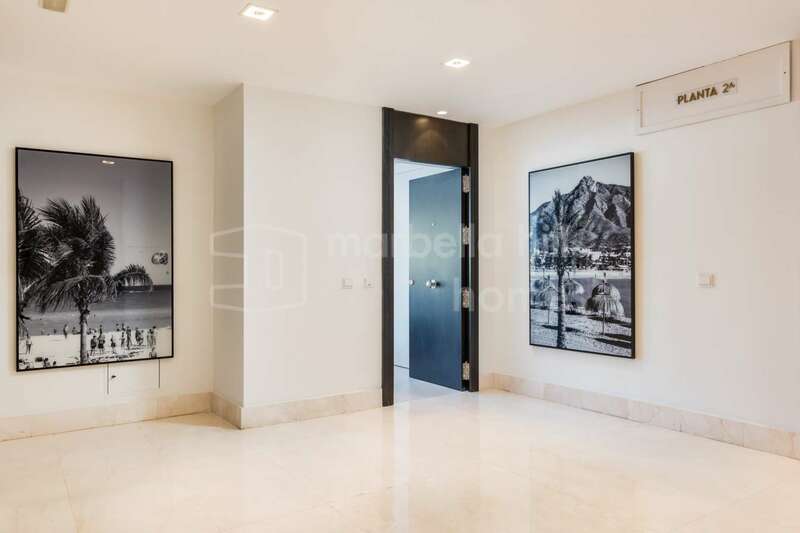 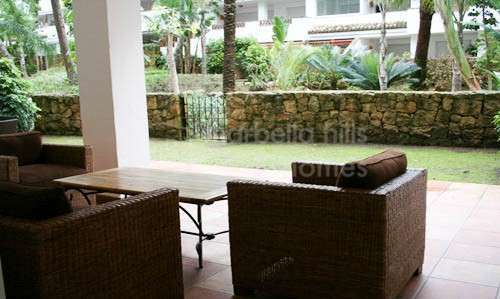 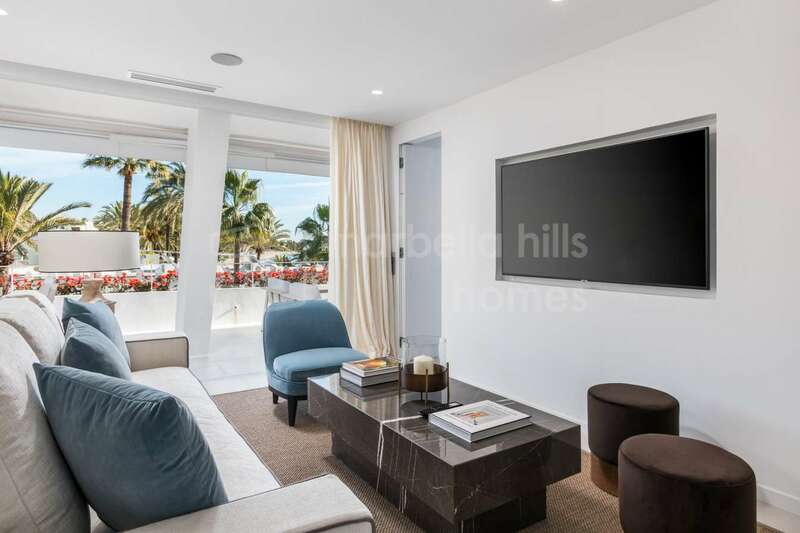 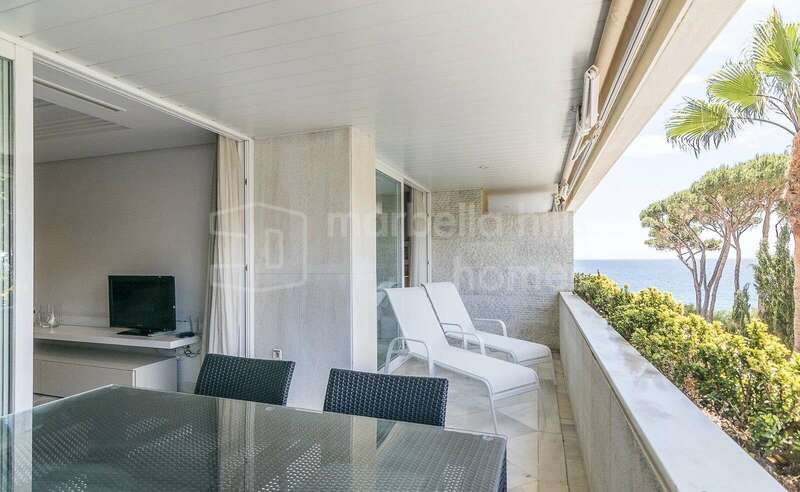 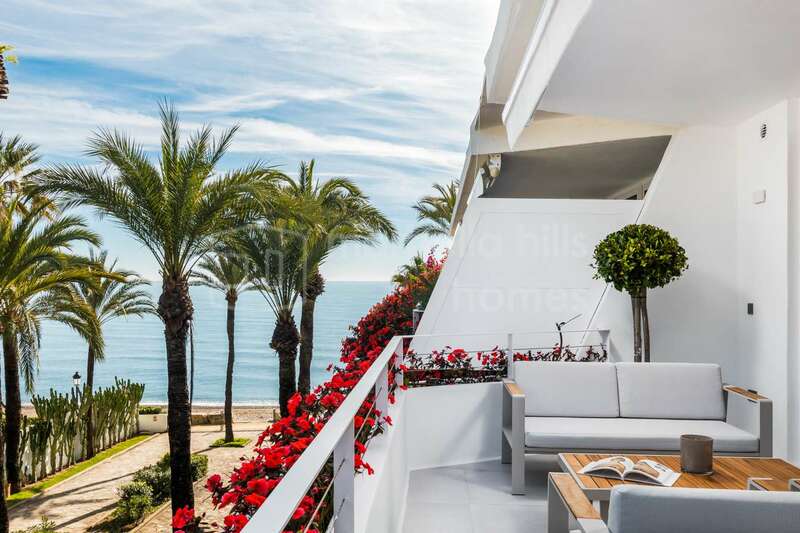 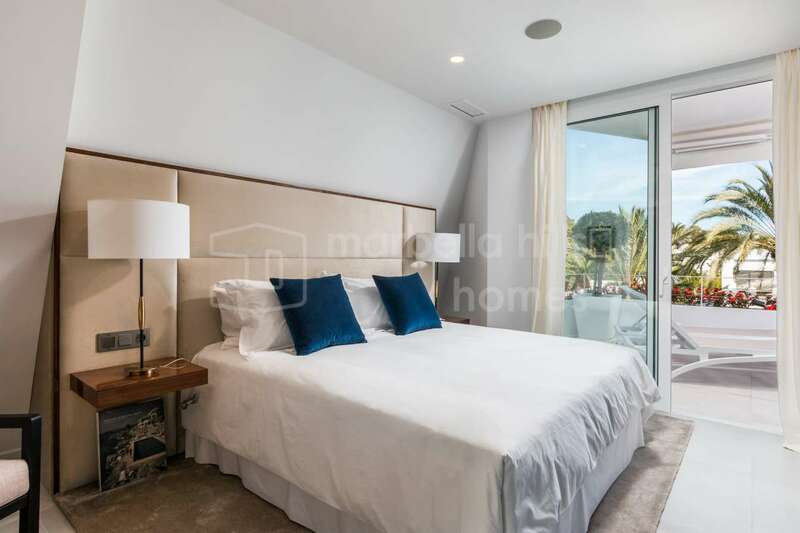 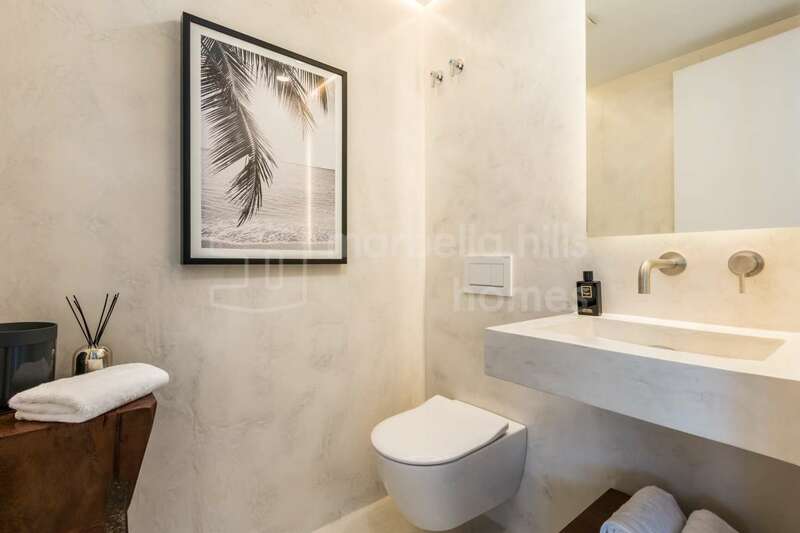 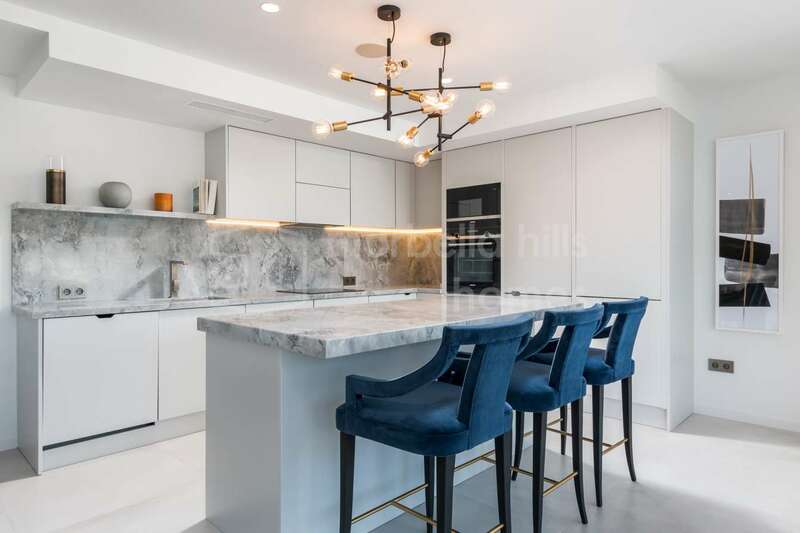 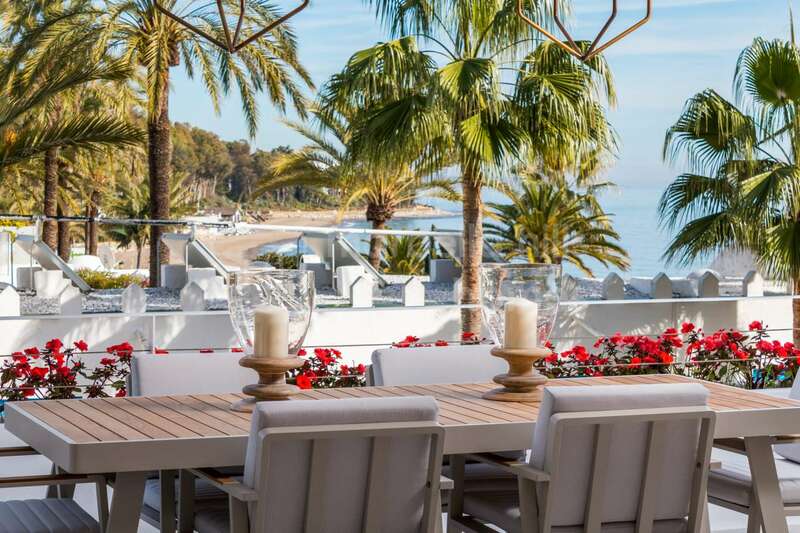 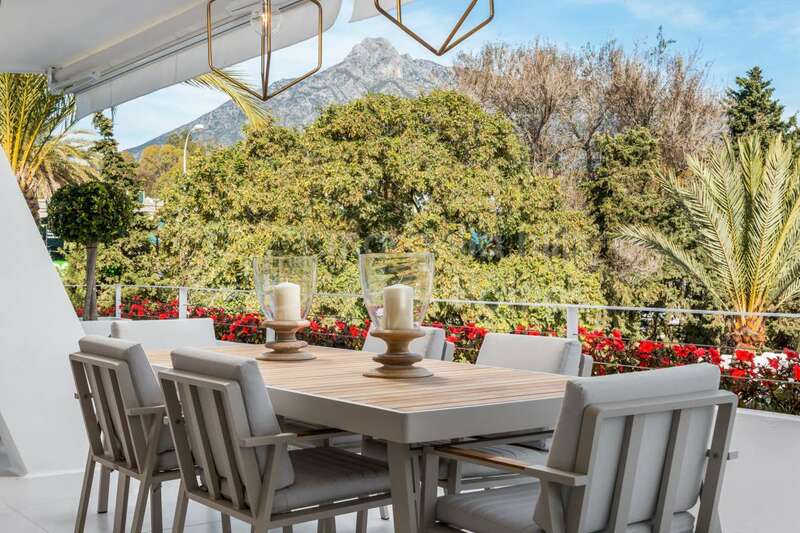 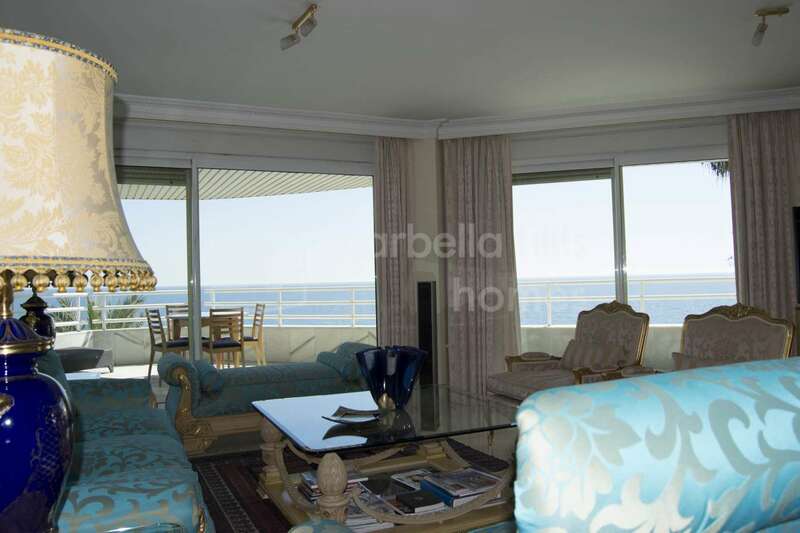 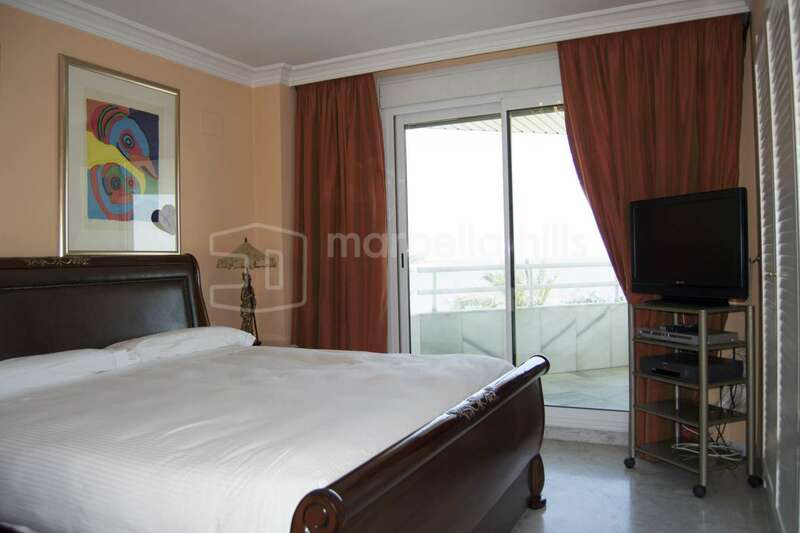 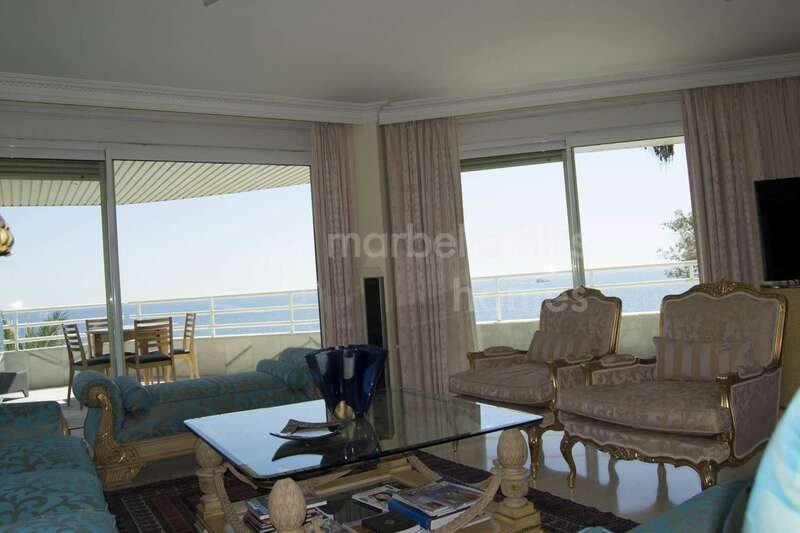 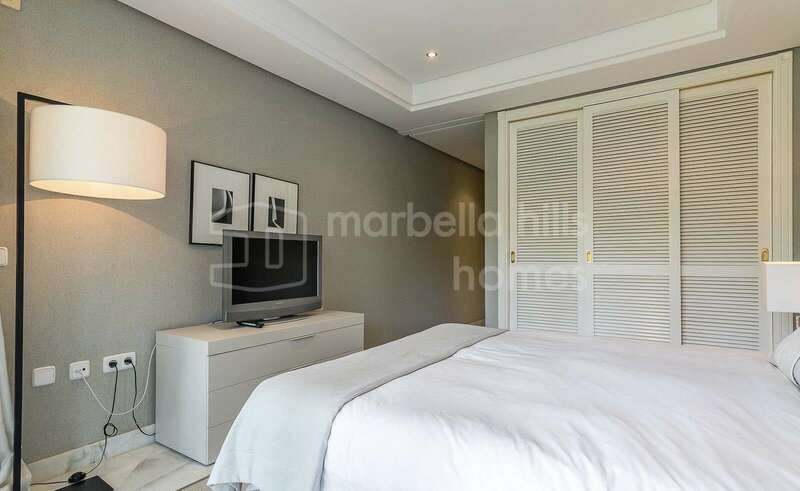 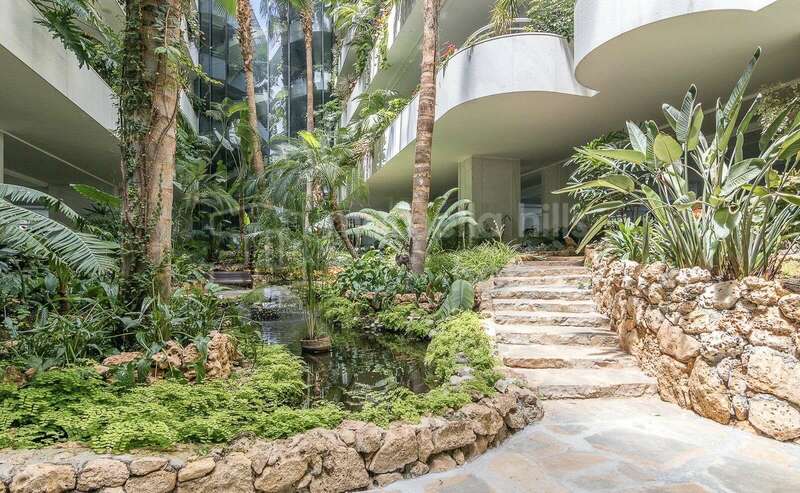 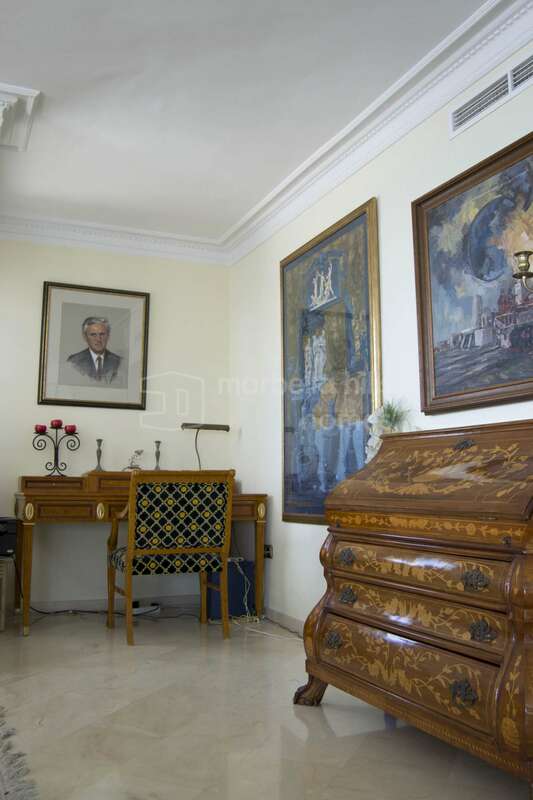 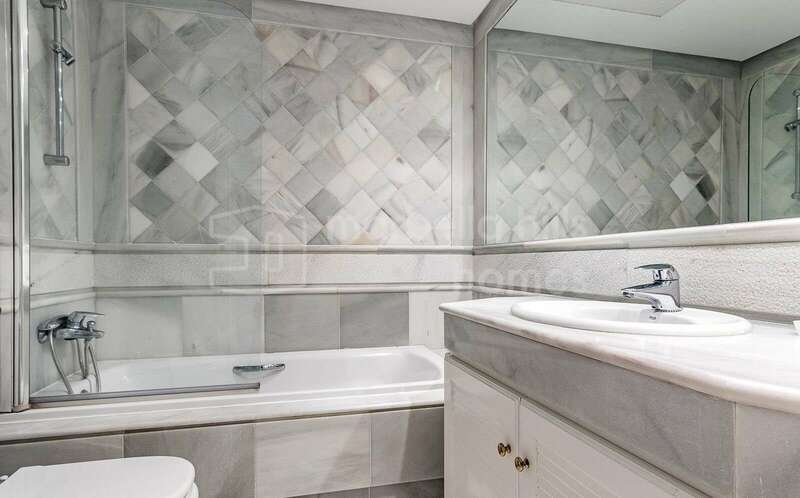 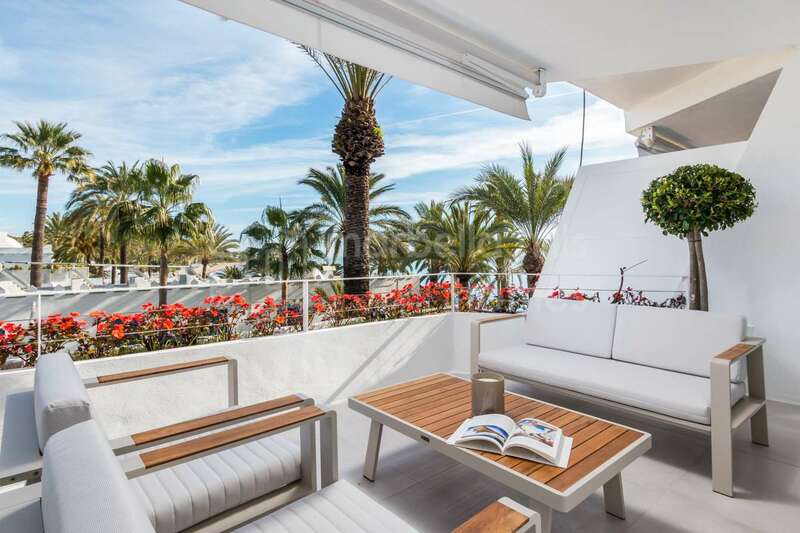 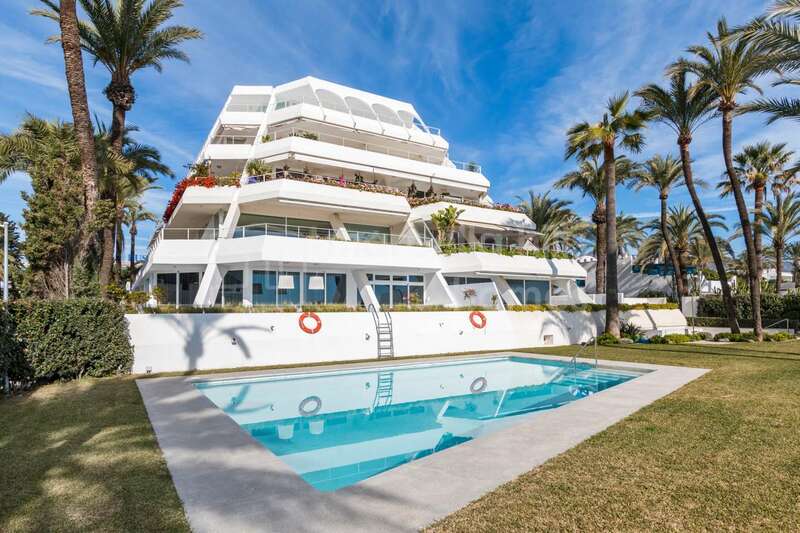 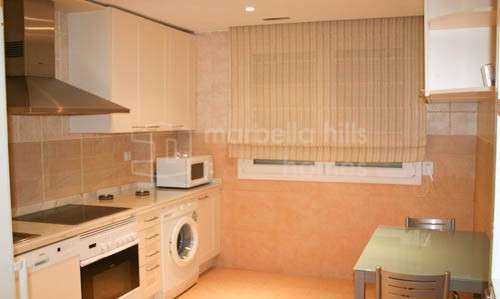 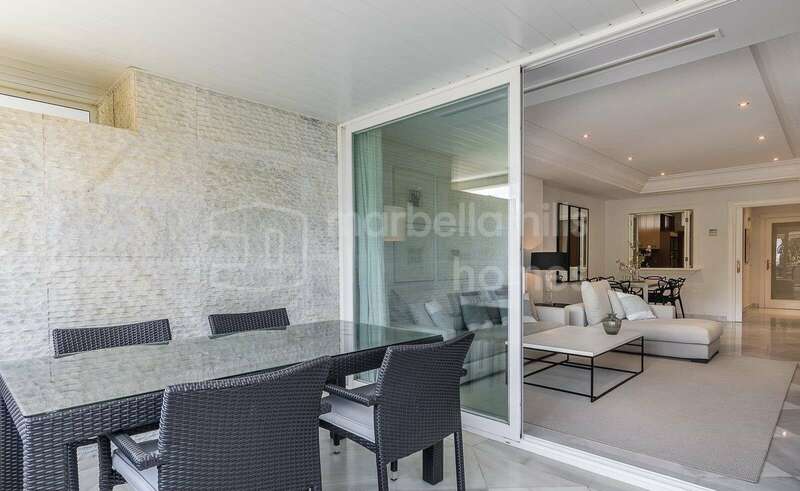 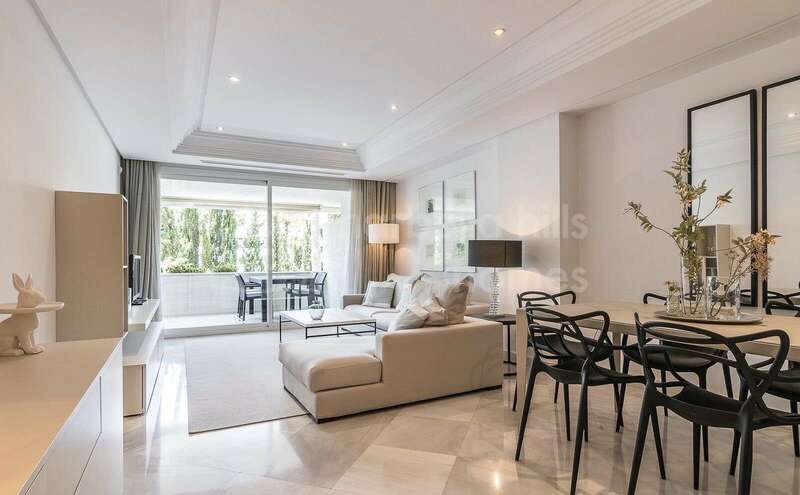 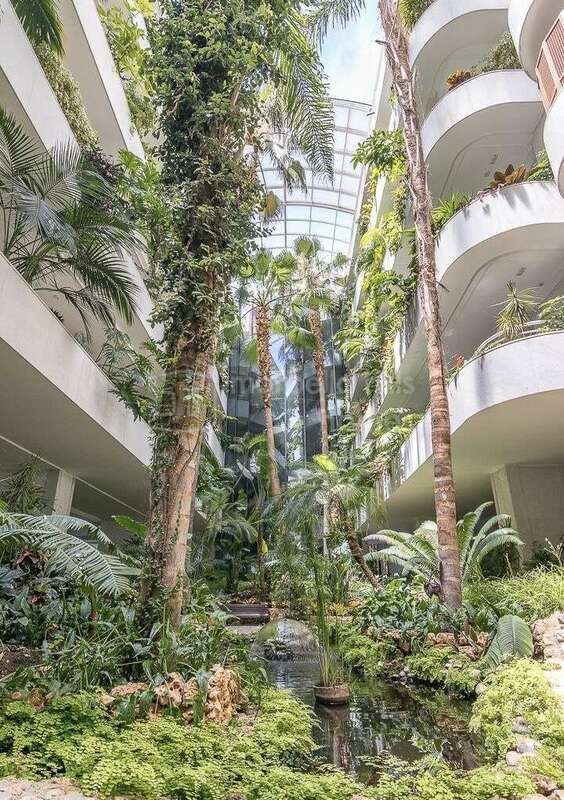 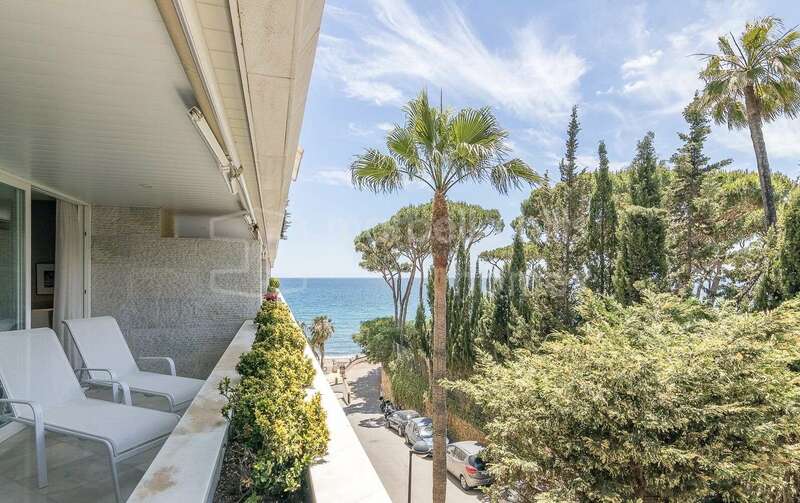 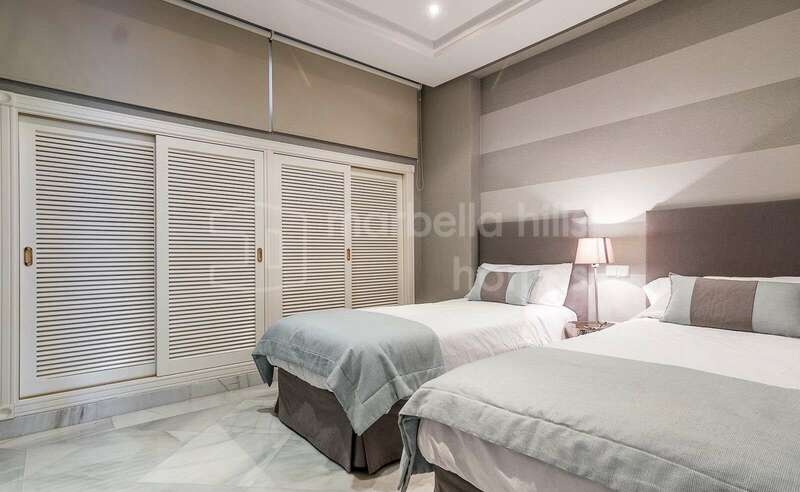 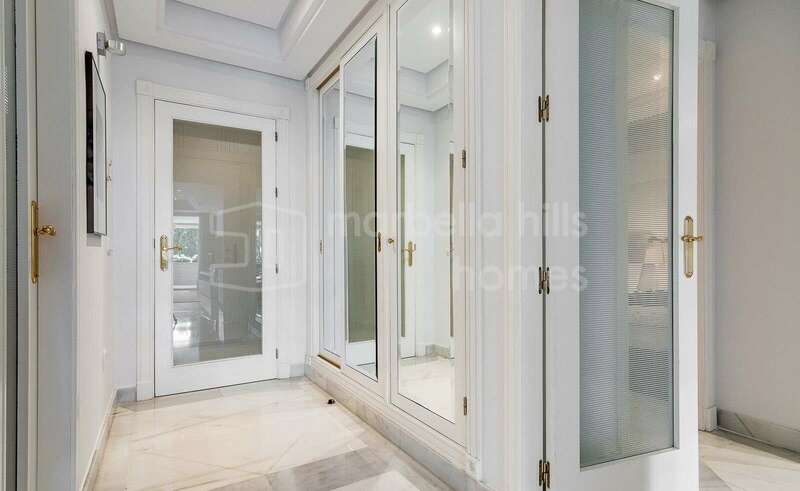 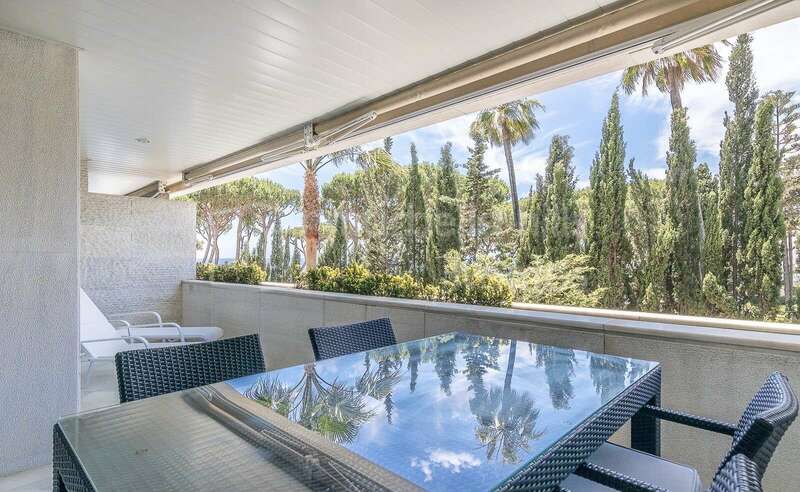 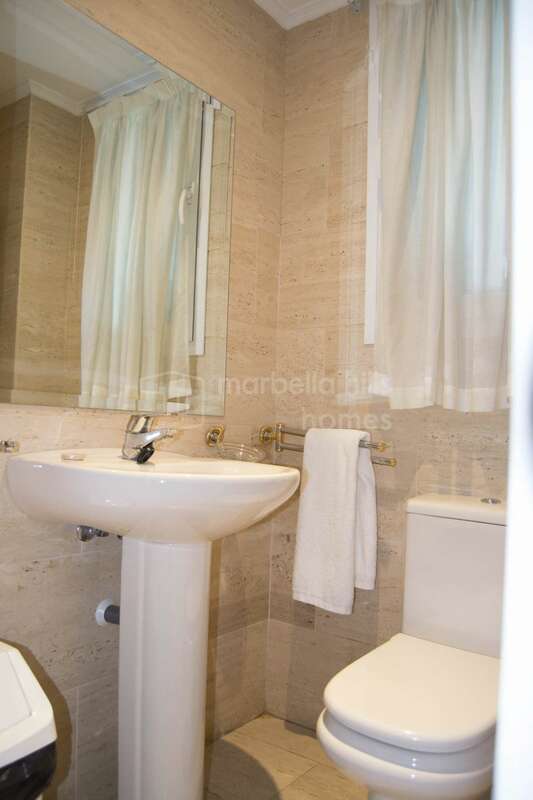 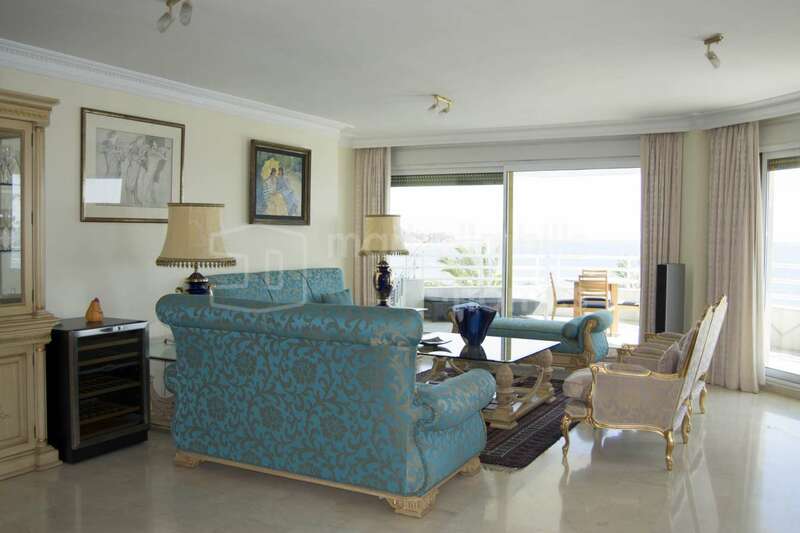 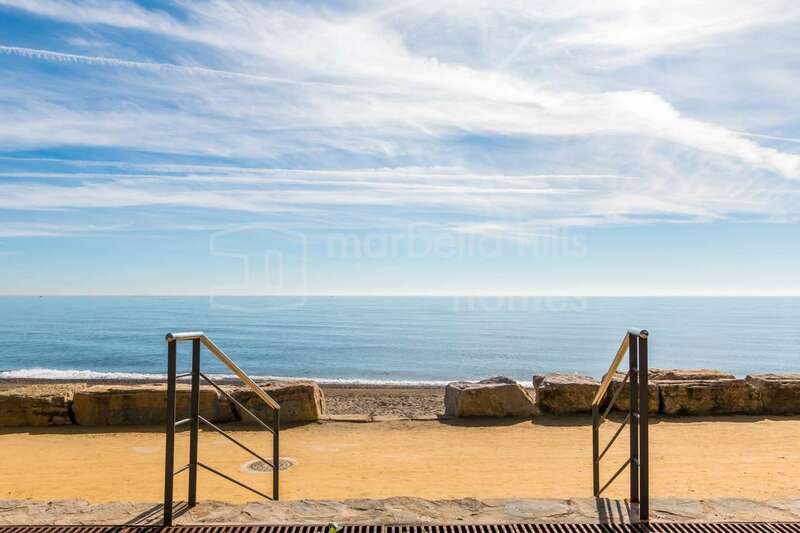 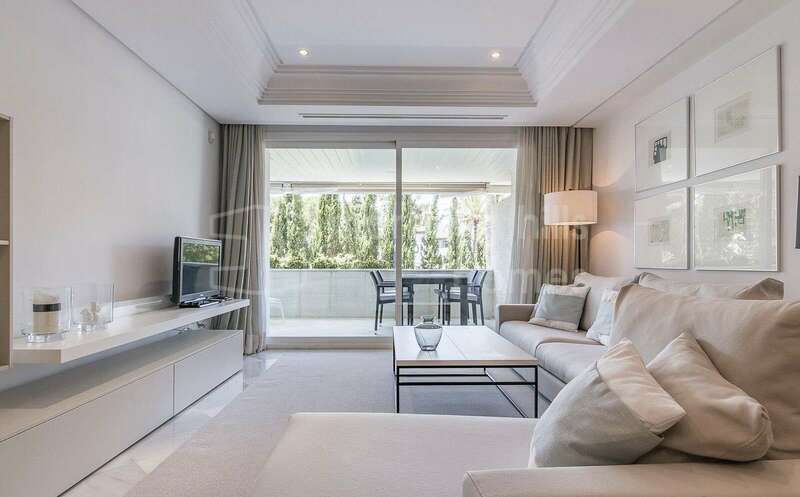 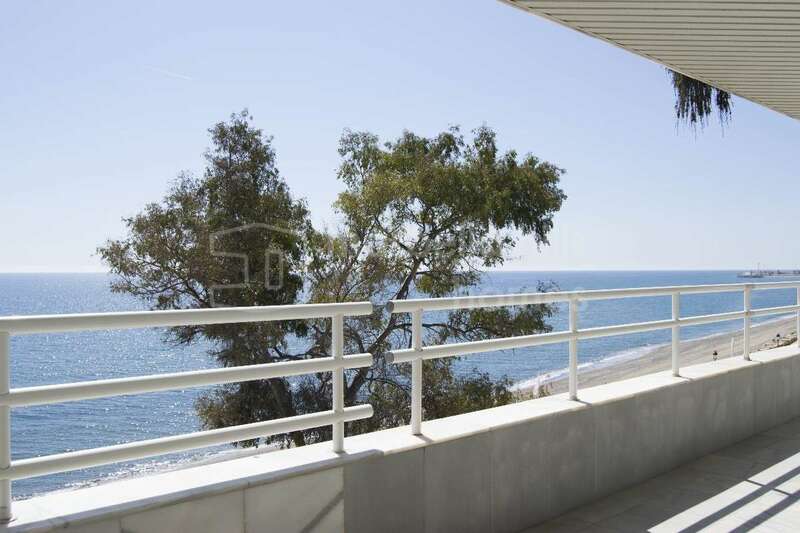 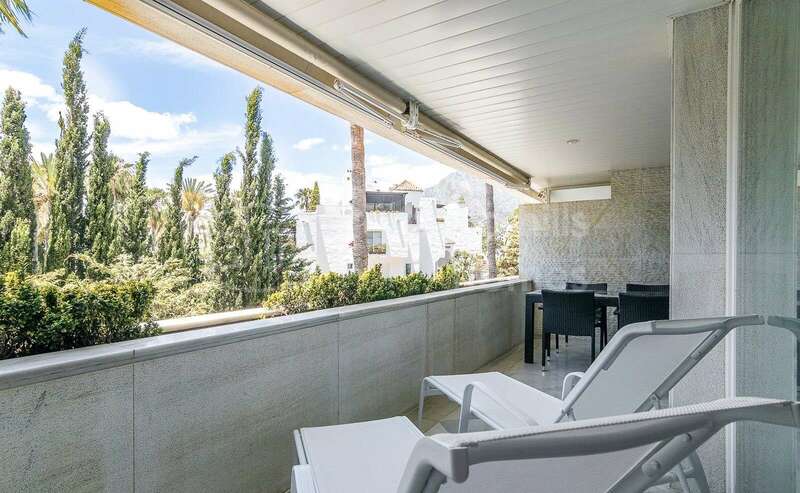 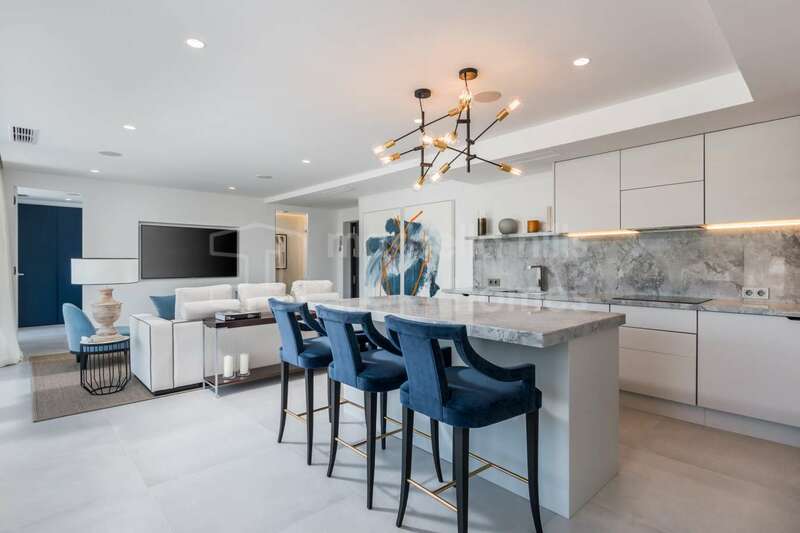 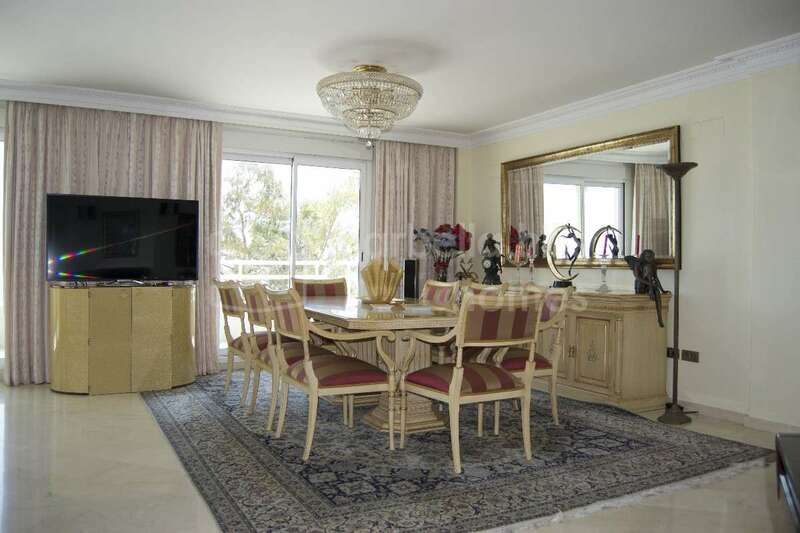 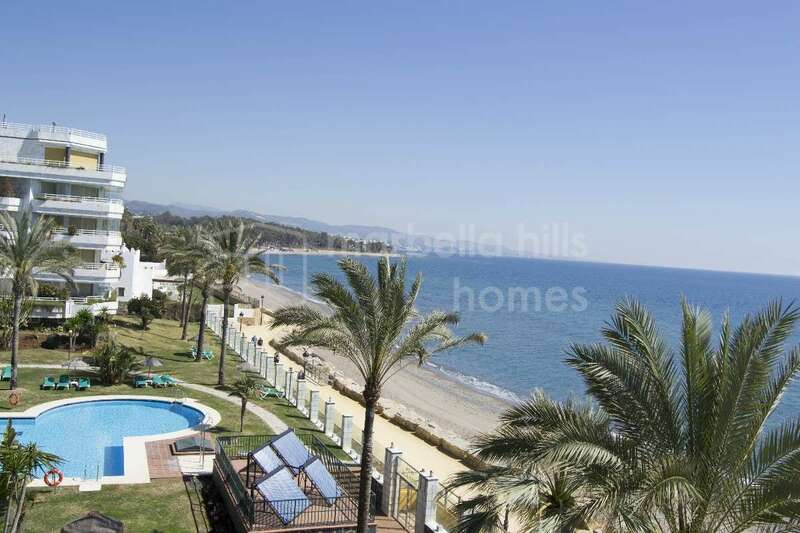 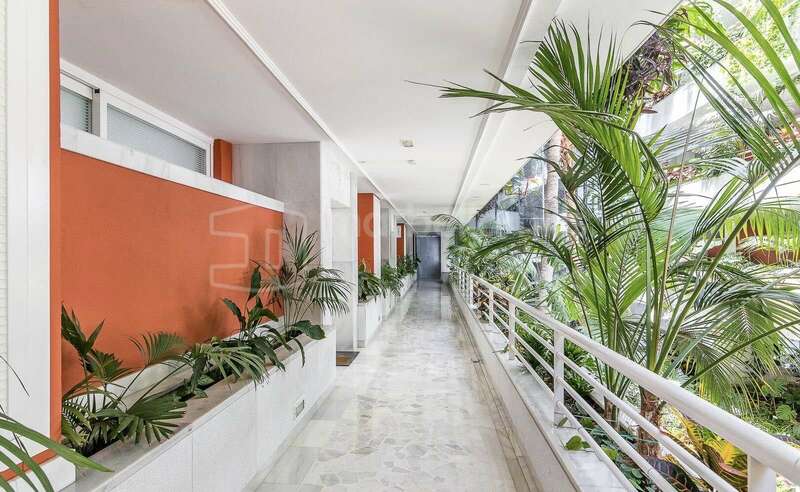 This beautiful apartment is located in Marina Mariola, one of the most prestigious complex of Marbella, with a great location on the beach and within 5 minutes walk to Marbella´s town centre where you can enjoy all type of facilities such as shops, bars and restaurants. 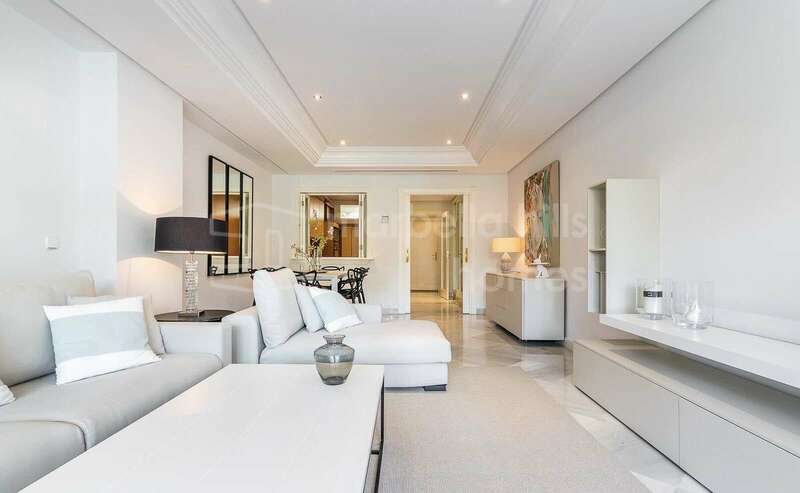 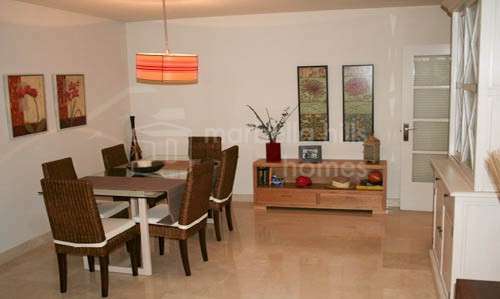 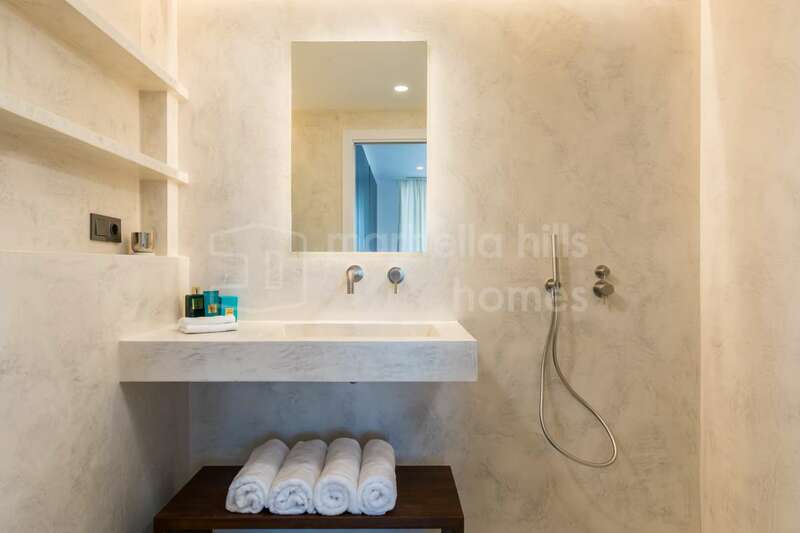 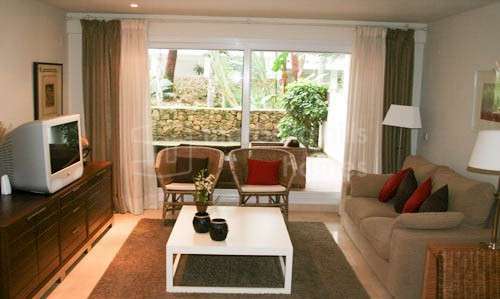 The apartment layout consists of a main entrance hall that leads to a spacious living room with a dinning area. 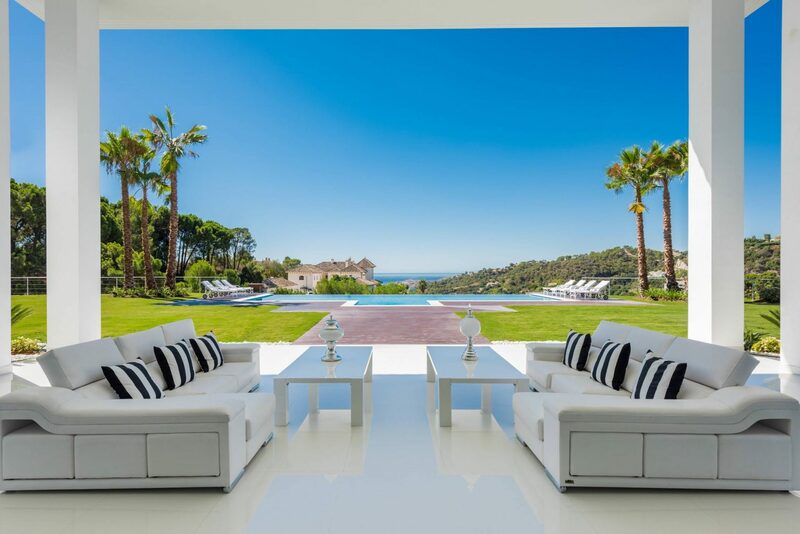 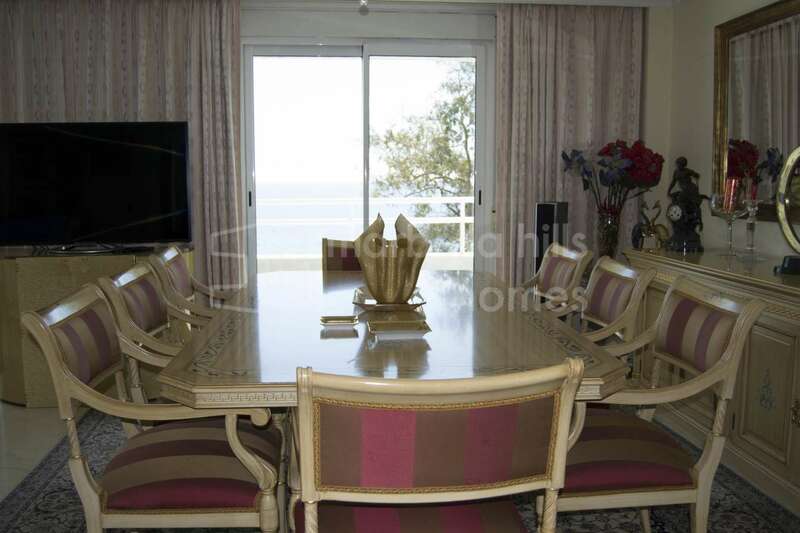 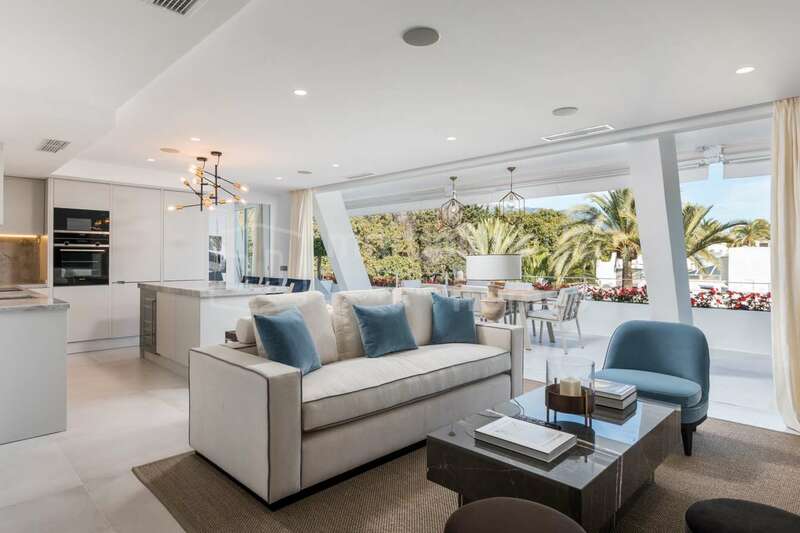 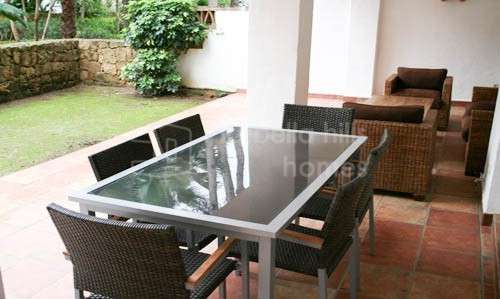 The living-dinning room has a direct access to a very ample terrace with beautiful views to the beach and the sea. 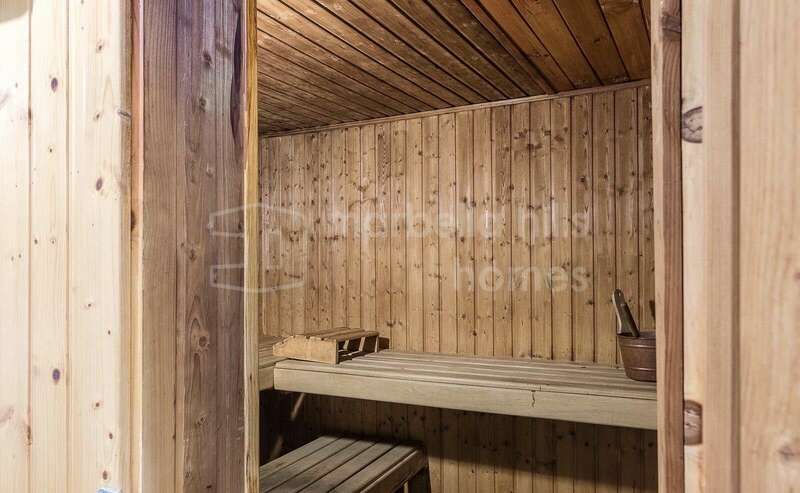 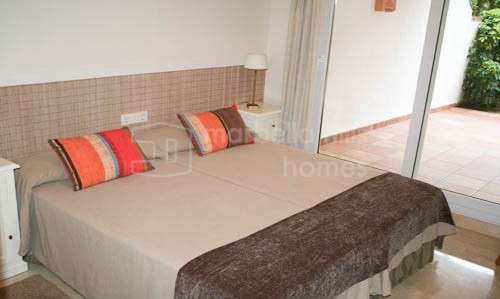 Two double bedroom with bathrooms. 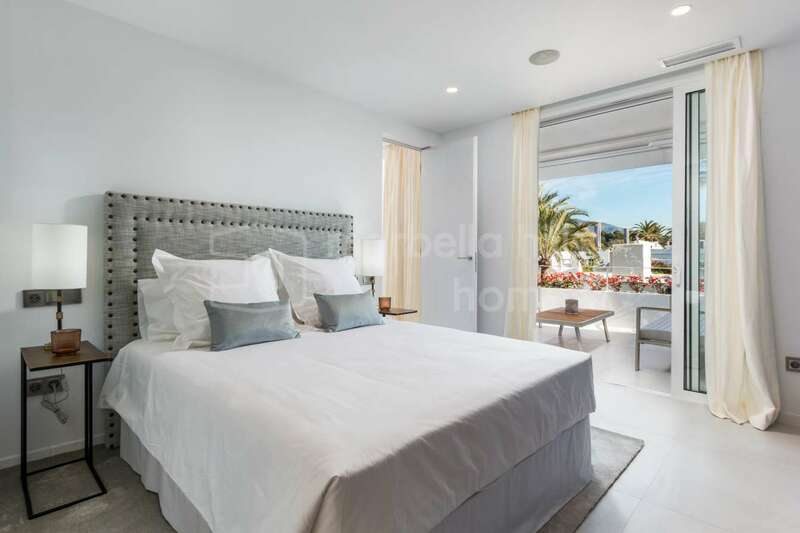 The master bedroom has fitted wardrobe, en-suite bathroom and a direct access to the terrace. 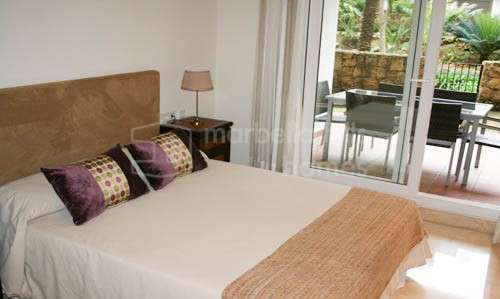 The second bedroom has also fitted wardrobes and an independent bathroom. 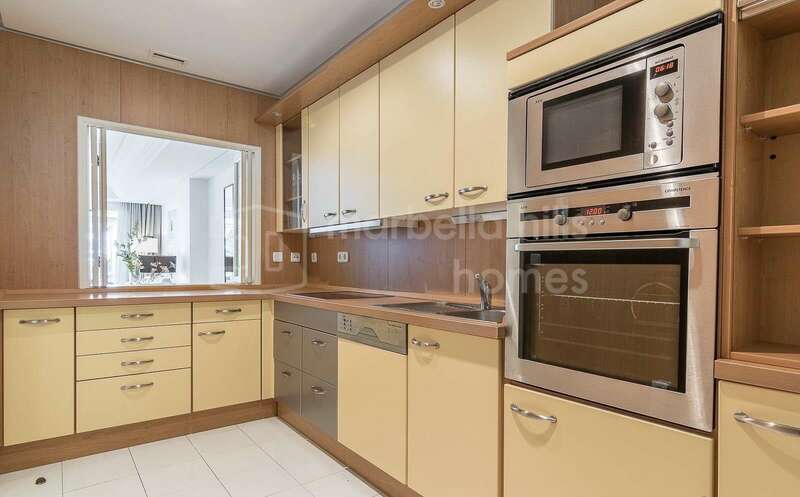 The kitchen is fully fitted. 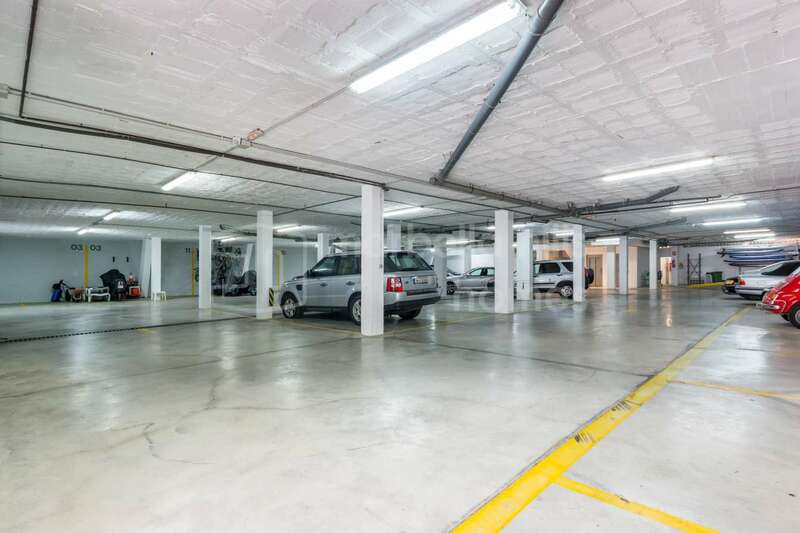 The property has 1 garage space and a storage room. 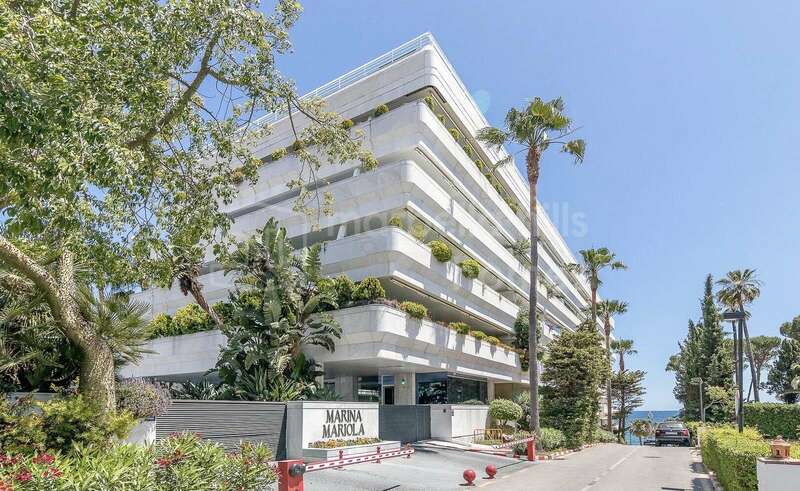 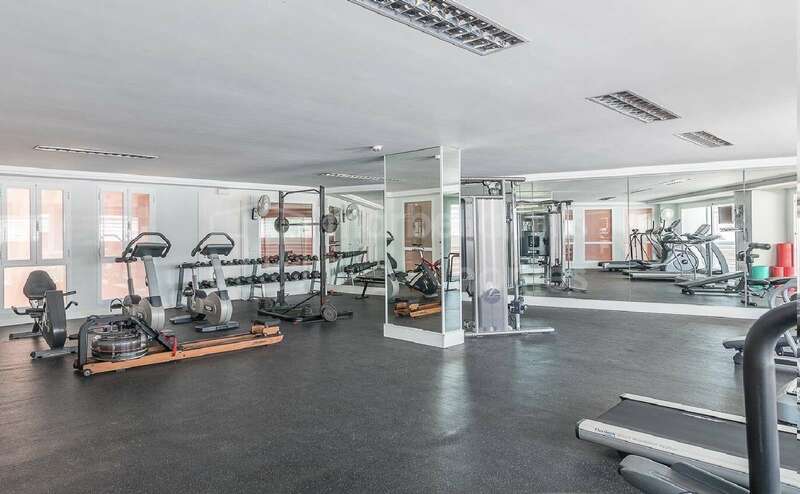 In the Marina Mariola complex you can enjoy all type of amenities such as a large communal swimming pool, gym, sauna, solarium and heated outdoor pool. 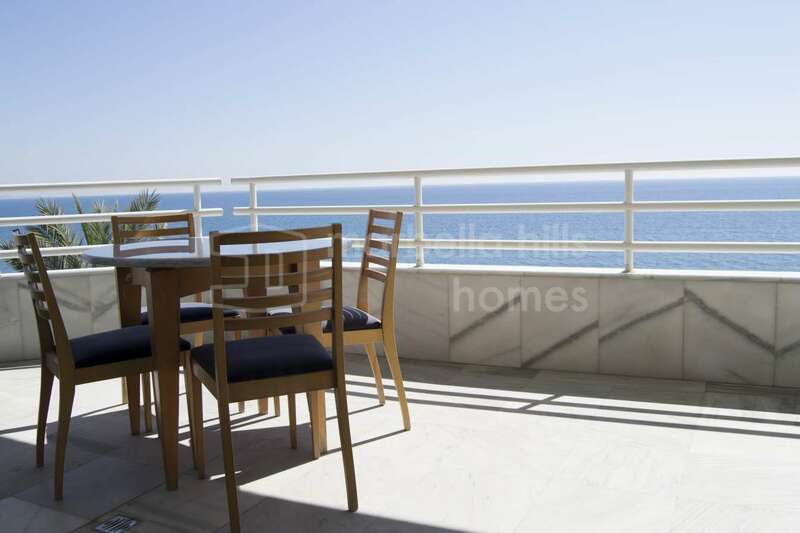 The ideal apartment to get the most out of your so awaited holidays by the beach. 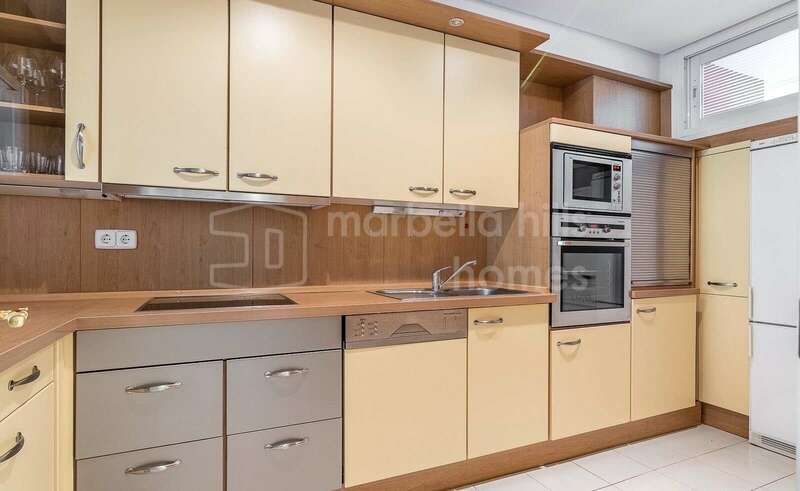 Fully fitted kitchen, Close to shops, Close to town, Close to schools, Surveillance cameras, Pets allowed, Marble floors, Jacuzzi, Sauna, Satellite TV, Guest room, Front line beach, Storage room, Gym, Security entrance, Double glazing, Dining room, Barbeque, Security service 24h, Private terrace, Kitchen equipped, Living room, Amenities near, Sea view, Indoor pool, Heated pool, Transport near, Internet - Wifi, Covered terrace, 24h Service, Fitted wardrobes, Gated community, Air conditioning, Lift, Beachside, Doorman, Close to children playground, Close to Sea/Beach, Close to Golf, Optional furniture, SPA, Excellent condition.